Yesterday afternoon Terhune Orchards shared the sad news of the loss of another of their beloved labs, Strawberry Rhubarb. 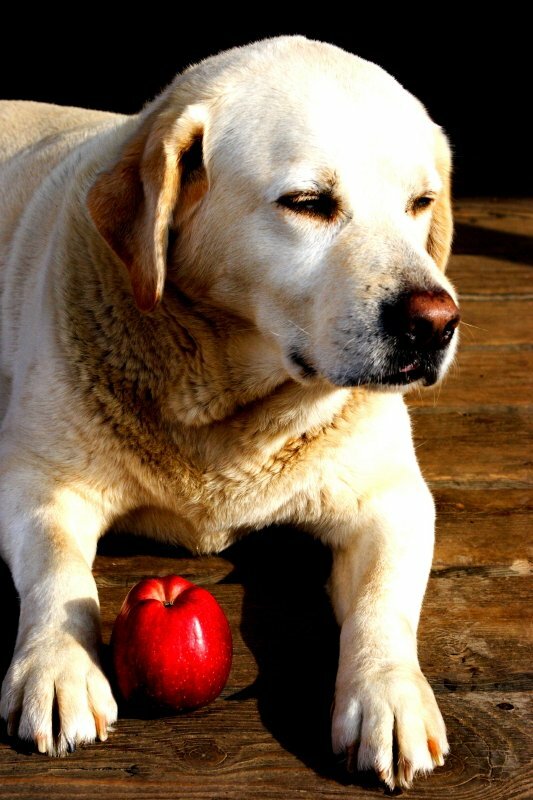 Ruby was 14 1/2 years old and loved by everyone at Terhune Orchards and by the many friends and visitors to the farm. Ruby greeted customers on the porch of the farm store and participated in the children's reading programs. And she loved eating apples. The Mount family thanks everyone "for making her life one filled with joy, pats and hugs." Ruby will be deeply missed. Cookie Monster Parodies "Call Me Maybe"
When in the Course of Human Events . . .